Eczema is a very common skin condition due to skin inflammation. It may start at any age but the onset is often in childhood. According to the Irish Skincare Foundation, eczema affects one in five children in Ireland and about one in 12 adults. Some 65% of children grow out of it by age 7, 75% by age 16. But for a quarter of patients, it continues to adulthood. The term ‘atopic’ is used to describe a group of conditions, which include asthma, eczema and hay-fever and food allergy. These conditions are all linked by an increased activity of the allergy side of the body’s immune system. It can affect any part of the skin, including the face, but the areas that are most commonly affected are the creases in the joints at the elbows and knees, as well as the wrists and neck. 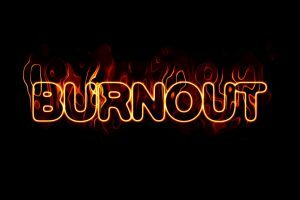 What people don’t realise, for example, is that for 60% of sufferers, itchy, sore skin causes sleep deprivation, leading to poor concentration and poor school or work performance. 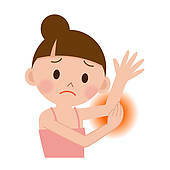 Often it causes bad mood in children and teenagers with eczema. They can become depressed and have low self esteem. 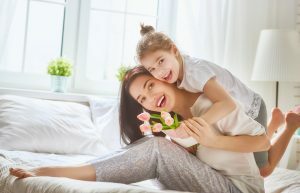 Parents of children with moderate/severe eczema must establish a strict routine of daily baths, applying moisturiser at least three times a day and apply steroids. It’s very tough and parents and eczema suffers. Parents can feel tired, frustrated and hopeless. However there is hope …. I came across Kinesioogy by chance. 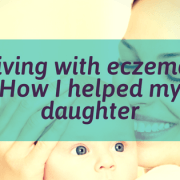 I had a young daughter who suffered very badly from eczema form the time she was born. It was so bad she barely slept at night as the itch was so bad. There were deep gouges in her wrists and ankles where she has scratched so much and they would not heal. She was prevented in nursery from playing the water, sand and paint isolating her from the other kids. The creams prescribed by the doctors were generally not strong enough to make a difference when we were prescribed something that worked as soon as she had finished the course it came back again within hours. 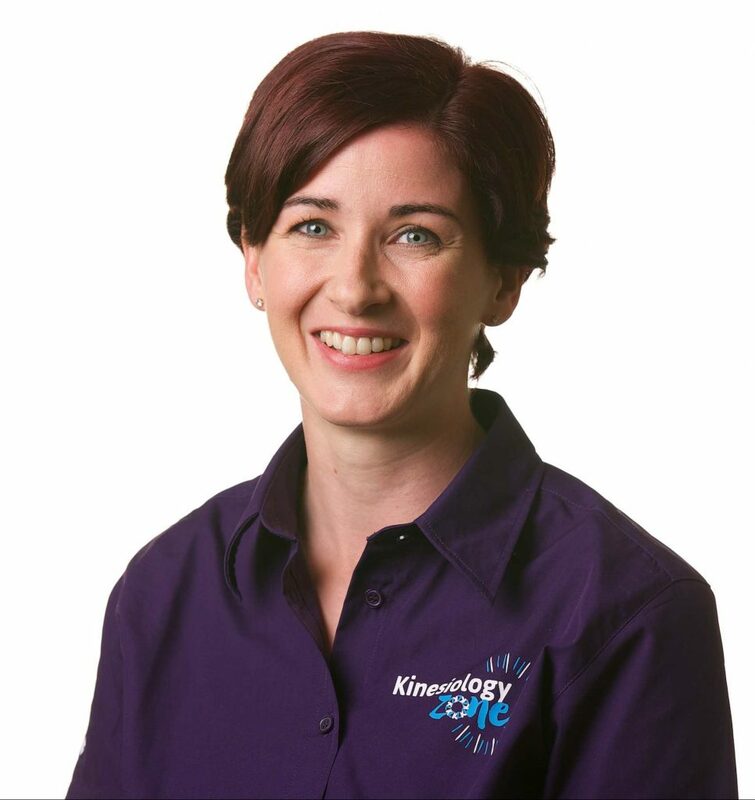 The day my daughter’s life changed – One day we were at swim lessons and another mother asked me about her skin and suggested i see a Kinesiologist…A What ! I had no idea what this entailed but at this stage i was desperate and eager to try anything at this point. After her consultation we found out that ‘whey protein’ was causing a problem along with other foods. Two weeks after removing these things from her diet most of her skin cleared up and she was starting to sleep through the night. It was a few months later and some probiotcs that helped heal up the worse affected areas…I WAS HOOKED. 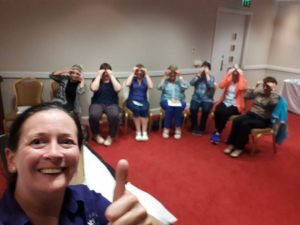 I booked my place on the Balanced Health course in Donegal and couldn’t wait to get started. When i attended my first weekend I felt as if I had come home. The instructors were amazing as were my fellow students. As the weekend progressed I was absolutely amazed at the human body and what it can do. I went home to practise, I know I am only at the beginning of my learning but I have being able to help so many people already. I have being searching for a way to help others for a while now but before this I hadn’t found anything I was comfortable with. Helping family through stressful house moves and job changes. One family member who always had trouble sleeping, now sleeps soundly every night through my help! I can now help people with digestive problems and stress issues. I have found it a privilege to be able to help people in this way and I look forward to being able to do it more. One of the main reason that i decided to do this course was to help others the same way my daughter has being helped. I have being able to do this. In Kinesiology, we have found in many cases that why people have allergies is not addressed. Nothing whatsoever has being done to deal with the causes of their problems. The questions of why they have allergies in the firs places are often not asked. We must remember each person has different nutritional needs and sensitivities. Everyone is different. One man’s meat is (frequently) another man’s or woman’s poison. What suits one person, certainly may not be all the suitable for another. As a physiotherapist for the past 11 years, I encounter clients on a daily basis who have had an acute injury, e.g. ligament, muscle and joint injuries. When there is a mechanism of injury, a specific movement or event that caused the damage, it usually is easy enough to determine the type or structures affected. The type of treatment/ rehabilitation that will be administered and usually the length of time it will take to get back to pre-injury levels of mobility and comfort is also assessed. That said, in private practice, I find a large percentage of clients who come in with pain which is of unknown origin. It started insidiously without any known event and may be intermittent over time, it often progresses or affects activities of daily living significantly, and then they seek Physiotherapy intervention. As with all Physiotherapy assessments we would consider whether there are any red flags, orange flags or yellow flags present for the client. As we know if someone had red or orange flags the treating clinician should refer onward to the appropriate speciality or A & E.
When it comes to yellow flags, like beliefs, unhelpful beliefs about pain, worry, fear, anxiety, and emotional responses to the injury, this might suggest a poor treatment outcome. 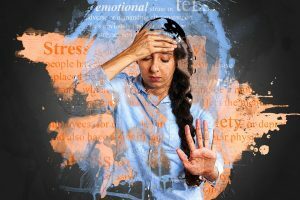 Chronic stress is also harmful to the physical body yet while I often found I would be aware of this, but I did not have any treatment tools, other than trying to reassure the client, using explain pain books, or gaining the client’s trust. 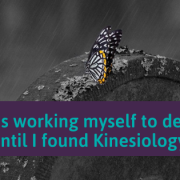 Having found Systematic Kinesiology over three years ago and completed the advanced training, I know I am much more able to assist clients in removing these barriers which gives their body the right environment to a full recovery. The approach works on the principle of “MCPE”, using Kendall style muscle testing, helps to ascertain the root causes of the client’s issues. It helps reveal other way to promote health, wellness and a return from injury or pain. In simple terms this means that the “whole person” is considered when treating clients and less focussed on symptoms only. 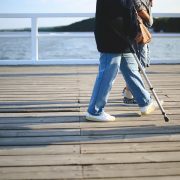 The MCPE approach, which covers the main areas of Mental (Mental, or emotional upset, past or present) issues, which can vary from fear of injury, to work or relationship problems or worries; Chemical issues (can range from food sensitivities, to bacterias and viruses to poor nutrient absorption); Physical issues (these are the areas we are already aware of, joints, muscle, ligament, tendon, spinal issues); and Energetic (disturbances in the meridian system) which can affect muscle strength and function. Recently I met a lovely lady, who had been involved in a serious accident six months prior to her visit. She had had physiotherapy intervention for 3 months, consisting of manual therapy and soft tissue release, but she felt she hadn’t improved much over this period and then sought osteopathic treatments for a further 3 months. Although she felt both did have some benefit in the short term, the pain, tension and restriction in movement had not resolved. When this client cam eto me we established that her sartorius muscle was a primary weakness (which in Kinesiology is found to be associated with the Triple Warmer meridian and the organ association: adrenal). I was able to determine that she needed chemical, energetic and emotional work for the weakness to be fully resolved. Her treatment consisted of working on the associated points for the adrenal organ, releasing chronic stressful memories of the accident and fear at the time of impact, and giving advice on appropriate nutrition that would help her system recover (such as B & C vitamins). This is why I find Systematic Kinesiology as a fantastic additional tool in my Physiotherapy practice. As a physiotherapist we are already familiar with muscle testing which is a bonus; yet the difference in this approach is that we can consider issues other than those physical in nature. On her return visit two weeks later she felt her symptoms had improved by 75%, her body had released some of the energetic, physical and emotional tension from the accident, her muscle testing results had improved, and her body seemed to have started to relax and allow recovery to happen. As a KinesiologyZone Course Leader, I’m delighted to be running CPD training specifically for physiotherapists. The weekend training is where I share these additional ways to help our clients. The course is set up for you to learn how to easily identify other areas that may be blocking a client’s full recovery. 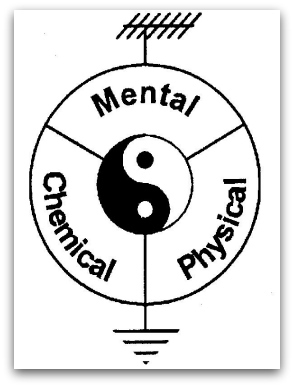 Taking into account the meridian system (without the need for acupuncture needles) you’ll learn how to balance the body using various points (Chapman and Bennett points), testing for basic food sensitivities, learning the relationship between specific emotions and certain muscle groups. On top of that you’ll learn an emotional destress technique that is easy to learn. 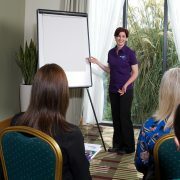 The weekend will equip you with simple yet powerful skills that will help a wide range of clients. Margaret Fitzgibbon’s clinic is based in Westport, Co Mayo. 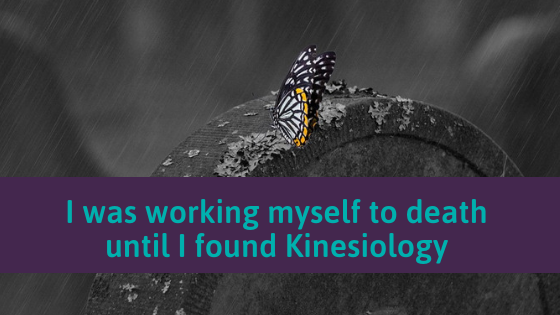 Since finding Systematic kinesiology, it’s has changed the way I look at my own health and well-being and that of my clients. The ability to ascertain what is affecting my health most at any given time, be its emotional stress, my diet or lack of energy, through muscle testing, allows me to simply find out what I would be best focusing to create change quickly. It has also helped me find long lasting ways to balance my lifestyle for promote my own physical & emotional health. 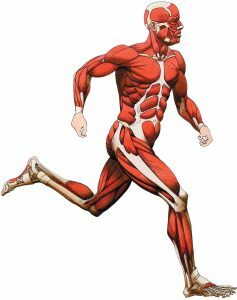 With regard to the clients I see in the clinic, the main response I hear post muscle testing and explaining the root cause of their personal issue is “that makes sense”. It allows clients to feel the effects specific thoughts, emotions or stressors have on the strength of their physical body & teaches them ways to reduce the effect. I love that it allows me to work holistically with the entire person and find the root cause or causes of their issue be it digestion, diet, emotion or energy. It makes me feel fulfilled as a practitioner and “makes lots of sense to me”. 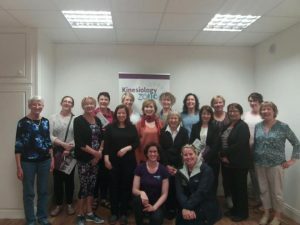 Since Systematic Kinesiology has made such an impact on my clients I hope to inspire other physios to learn this integrated healthcare solution and am delighted to be offering Systematic Kinesiology courses to physiotherapists around Ireland. Ann’s throat would swell and she would have trouble breathing. She had being diagnosed with asthma. 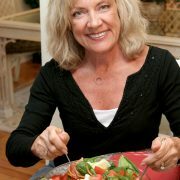 After being tested by a Kinesiologist she removed wheat from her diet and her health changed overnight. A woman aged in her mid-forties came to see me. She had been suffering from frequent chest infections for years; had serious allergies to honey, cod, house dust and pollen and it was gradually worsening. Her throat would swell and she would have trouble breathing. Her immune system was shot, so she dreaded the winter approaching and even in the summer she would get ill especially when traveling. She was diagnosed with asthma within the previous two years. As her symptoms worsened she was put on more inhalers and strong steroids she even ended up in hospital. After hearing her history I did some food testing and found her main issue was Wheat! Her diet consisted of alot of wheat, like so many people trying to find a healthy breakfast option she ate Weetabix daily for breakfast and had a daily diet consisting of pasta and bread. She was willing to eliminate it and within a week she got in touch to tell me she felt miles better. Within a short space of time she had lots more energy and had gradually reduced her inhalers with her doctor. By her third visit she almost off all her meds. She had Weetabix once over that period and ended up at the doctor with respiratory problems she stays away from the weetabix now! People may not realize it, but the foods we are eating every day could be slowly corrupting our health and shortening your lifespan. 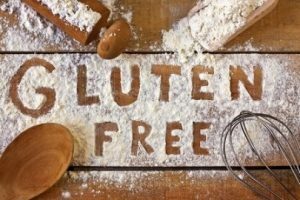 After getting tested from a Kinesiologist, eliminating food is the only real way to know how Wheat is affecting your health. 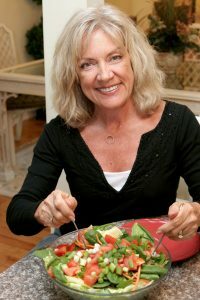 – DO eat lots of fiber, fresh whole foods, and unprocessed meals you make yourself. – DO eat lots of healthy fats found in olive oil, coconut oil, sunflower oil, flax oil, walnut oil, and avocados. After an elimination process of up to 25 days pick one thing you eliminated like gluten, dairy or eggs—but not more than one, and eat it. Throughout the diet and the reintroduction process, notice how you feel. Maybe you’ll see changes you weren’t expecting. Maybe your sleep quality or your energy level is better. Maybe the redness in your skin is gone, or your belly is flatter or likes Deborahs’s client begin to feel and breathe better within days. Deborah learned how to food test by attending one of our Balanced Health Training courses, by picking up these skills she has being able to go on and help other people around her. Here’s a sneak peak of a demo from a Diploma Class. The students are learning how to increase the body’s flexibility by removing old injuries with two techniques. To understand why IRT works, you must first understand what happens when the body encounters an injury or trauma. Injury Recall is the second one, which helps to remove the memory of an old physical injury/trauma that a body has experienced – for example, broken bones, scars, injuries to muscles, mammograms, twisted ankles, injection sites and dental work! In this video we first of all remove the emotion surrounding the traumatic memory. And then IRT applied. 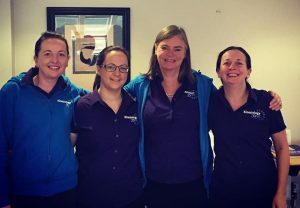 It made a huge difference to a TASK Ireland Diploma Student’s flexibility – and bear in mind it’s not just in the hip where we were working but all over the body. A short 3 min video, well worth watching to understand the potential to improve health with Systematic Kinesiology.